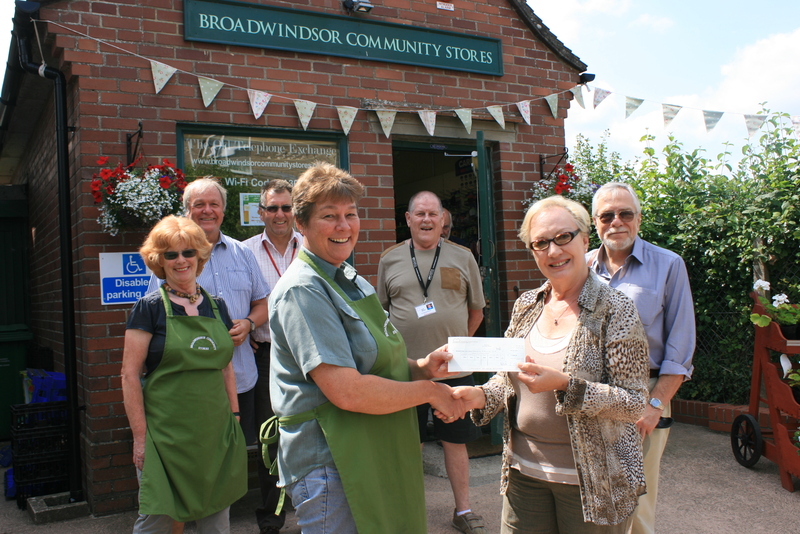 Community shop staff, volunteers and customers at Broadwindsor are no longer sweltering in the heat, thanks to a donation from Magna Housing Association. Broadwindsor Community Stores applied for a grant to help pay for air conditioning at the shop, which has been open for just over a year. Fraser Hughes, chairman of Broadwindsor and District Community Enterprise, which runs the shop, said: “We are enormously grateful to Magna for the grant for the air conditioning. “Our chillers were struggling to keep the temperatures down in the hot weather. The installation of the air conditioning has made a huge difference and last week resulted in record sales. The two air conditioning units, which, during the winter can also be used to provide heat, were installed by local electrical contractor Shaun Annetts. Julia Matso, vice-chairman of Magna’s community initiative fund forum, presented a cheque for £2,000 to shop assistant Jane Sloman. The fund is managed by a group of Magna residents. Each year, £150,000 is given to things that will improve the areas where residents live. 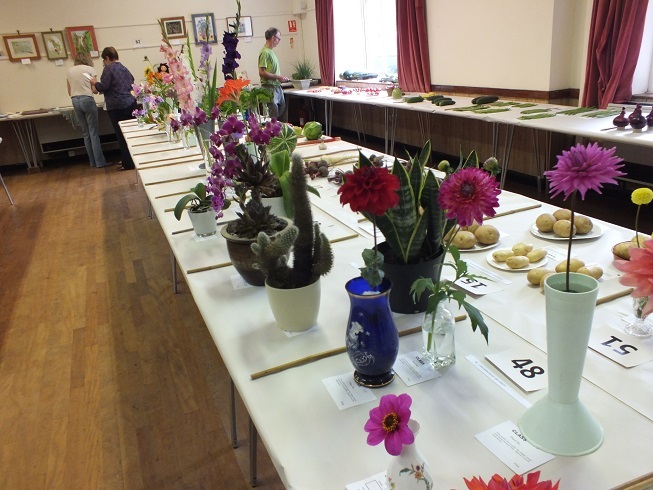 The society works to raise gardening awareness in the village, and organise the annual flower show each year. With a range of further events over the year, from coffee mornings to quizzes. This year’s show will be held on Monday 25 August, the bank holiday, with the official opening at 2pm by Mr Fraser Hughes, at The Comrades Hall. 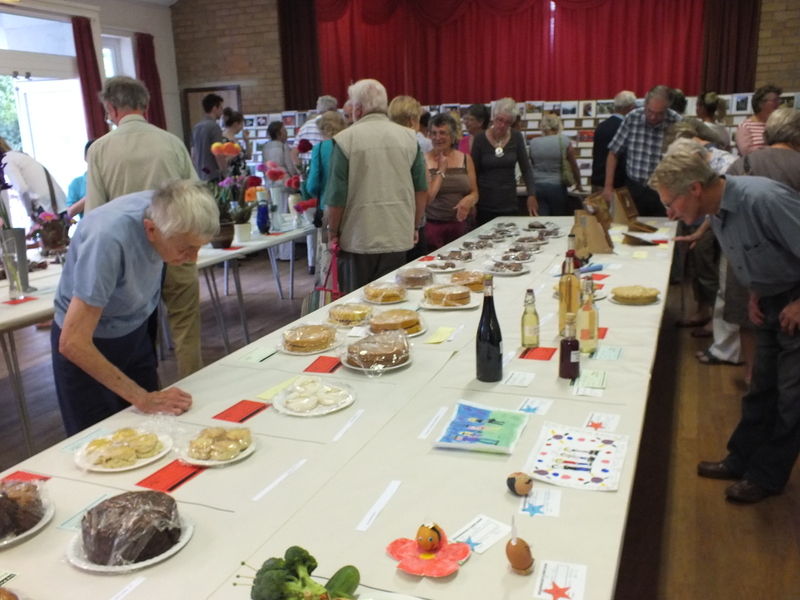 The Broadwindsor WI will be serving delicious cream teas, with plant, and cake stalls, along with the close-of-show raffle. Show schedules are available from the community shop, or email ellen_pym@hotmail.co.uk with your address. 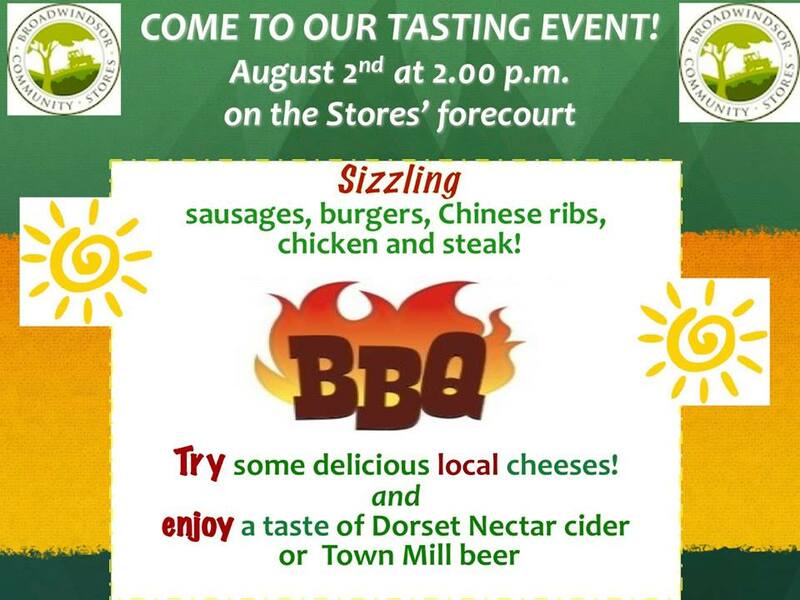 Entries should be posted in the box at the community shop, by the on latest Friday 22 August.If you would like more information about the society and how to join, please speak with a committee member on the show day. Joining for a year costs £2, and enables you to become involved and influence next year’s show and other events over the year. 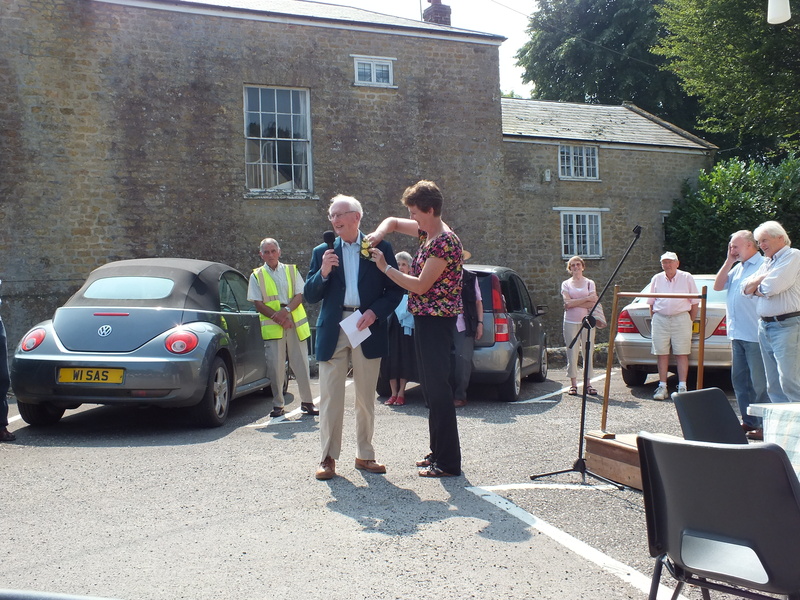 Photos are from the 2013 show, where Mr Ron Wright opened the show on a glorious day, with bumper entries. Public Access Defibrillator to be installed at Kittwhistle Garage, DT8 3LG. 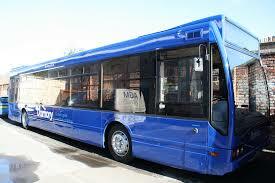 Here’s a link to take you to the new Damory bus timetable. Commuters will be able to travel between Bridport and Yeovil during peak times and college holidays. Bus operator Damory has announced a permanent extension to their number 40 service following a surge in demand from customers – and peak time services will run year round. The changes will come into effect on Monday, July 28. The exact times have not yet been announced, but are expected to be published on Monday, July 21. Commuters and students were given a temporary lifeline when Dorset County Council approved a short-term route registration in June following the demise of the troubled 47 service run by First. DCC agreed to subsidise a service at peak hours during term time, a statutory requirement. But the temporary offer by Damory, which came after an anonymous donation to keep the service running, attracted criticism from commuters because the earliest bus did not leave Bridport early enough for them to reach Yeovil in time for work. Damory has now announced that the 40 service will operate six days a week, from Monday to Saturday and during college holidays. The service will now operate from Bridport, stopping at Melplash, Beaminster, Broadwindsor, Mosterton, Misterton, Crewkerne Station, Crewkerne and Yeovil. Dorset County Council will subsidise peak time services from Monday to Friday during term time – with Damory funding off peak journeys from Monday to Friday and all day Saturday. Damory confirmed peak time services will run during college holidays as well as term time. 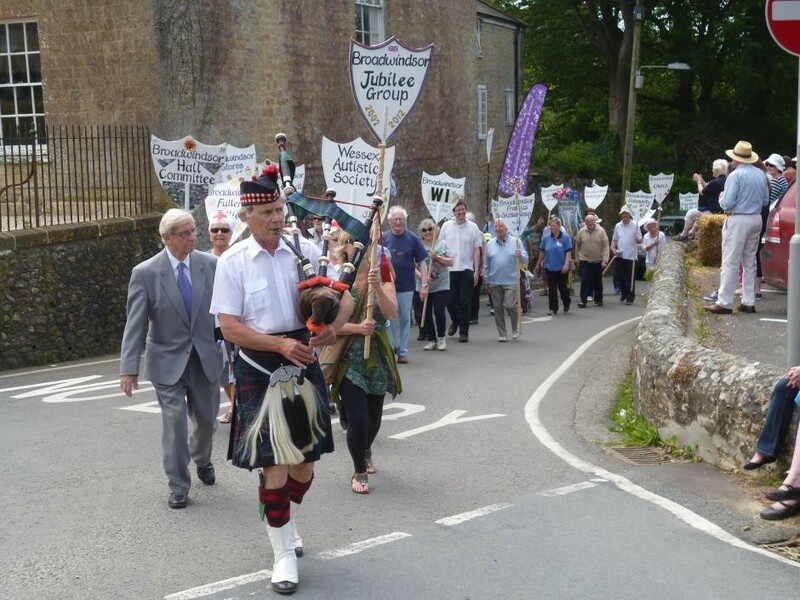 “The views of local people are incredibly important to us because we need to know they will make good use of an extended route before we can give it the go-ahead. “We are always looking for ways to enhance our service wherever possible. And I’m delighted that we are able to do so in this instance.